Starbucks is going in a new direction at one location in Portland. The Seattle-based coffee giant will start selling beer and wine at it’s newest location in the Pearl District. “We do know that 75-percent of our customers do come in before 2 p.m., so for us, this is a great way to expand into the afternoon and evening day part,” said Andrea Streedain, Regional Director for Starbucks. 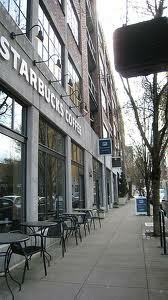 Starbucks already has three stores that sell alcohol in Seattle. But KGW has learned in an exclusive report that the new location at The at 1039 NW Couch Street will be a first for Portland. The design of the store (shown above) is to blend with the neighborhood and to fit into Portland’s coffee culture. “It will very much capture the industrial feel of the Pearl District and that warehouse feel,” said Streedain.